This set of two Natural Burlap Curtains, each one measuring 72 inches by 60 inches, are floor-to-ceiling length. They are made with 100 percent jute burlap. At the top of the curtains, there are three to four inch pockets that make it simple to insert a rod or a pole. With the Cotton Craft Jute Burlap Window Curtains, two panels of 100 percent natural jute fabric hang from ceiling to floor. 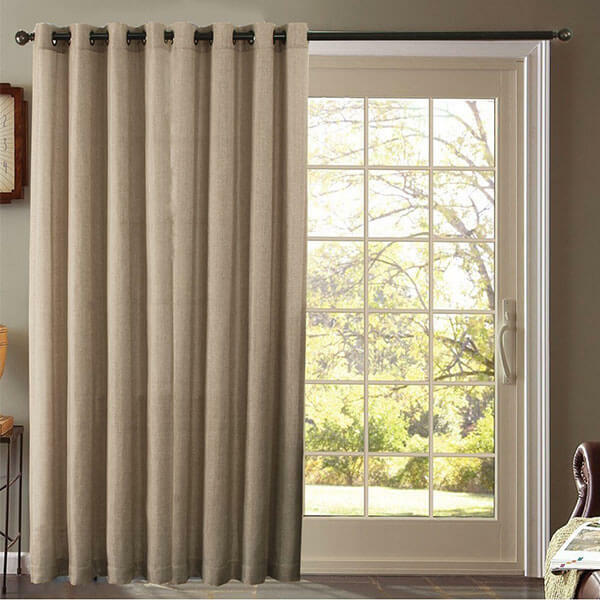 These panels measure 48 inches by 84 inches in size and come with a three-inch rod pocket for simple insertion of a pole or curtain rod. 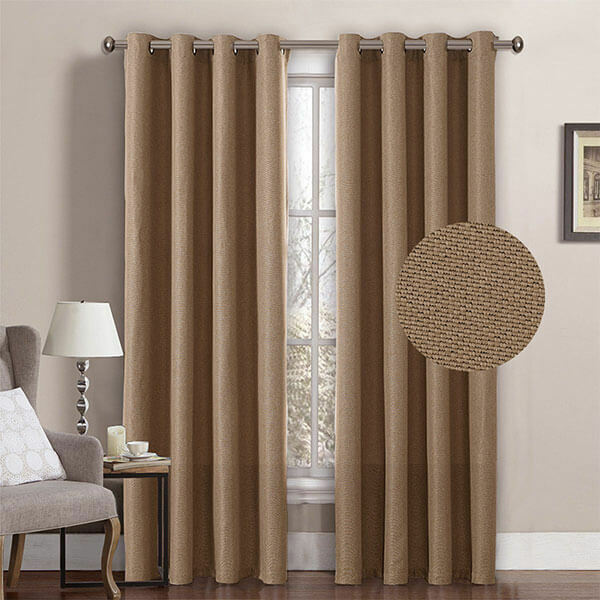 The H.Versailtex Textured Linen Curtains are 100 percent polyester curtains that come in a sandy brown color, sure to look great in your traditionally styled home. Each one of these curtains comes with eight antique copper metal grommets that match seamlessly with the curtains themselves, those of which have unique texture. 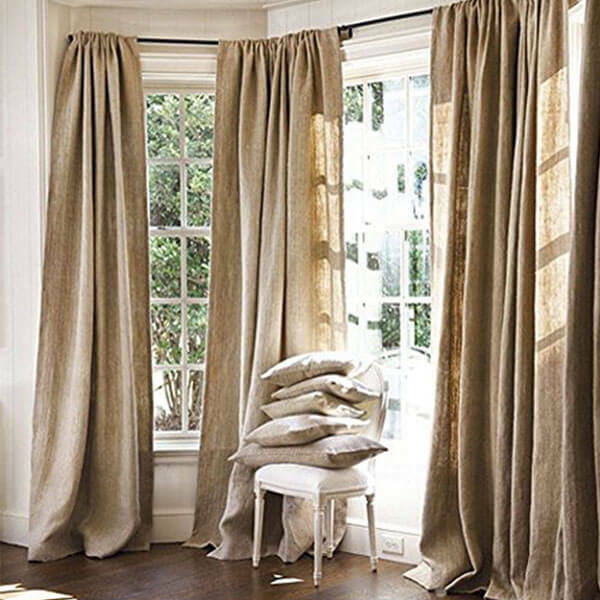 With the Furniture Fresh Burlap Look Faux Linen Curtains, you can transform your home into a coastal hideaway. 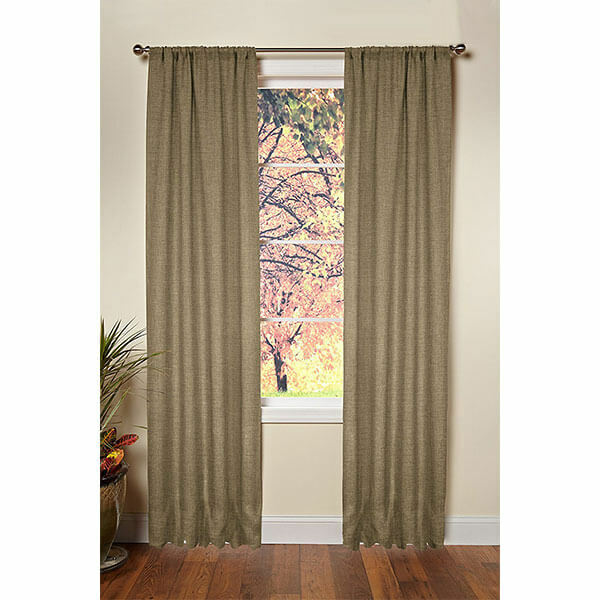 This light colored curtain features three layers of 100 percent polyester that is durable and strong. It comes with an insulated thermal backing, which can help keep the climate regulated in the home. Block out up to 90 percent of sunlight from getting inside and keep the indoor climate cool with the Best Dreamcity Faux Linen Blackout Curtains. These curtains are made out of high-end faux burlap material that comes complete with silver grommets to hang them with ease. 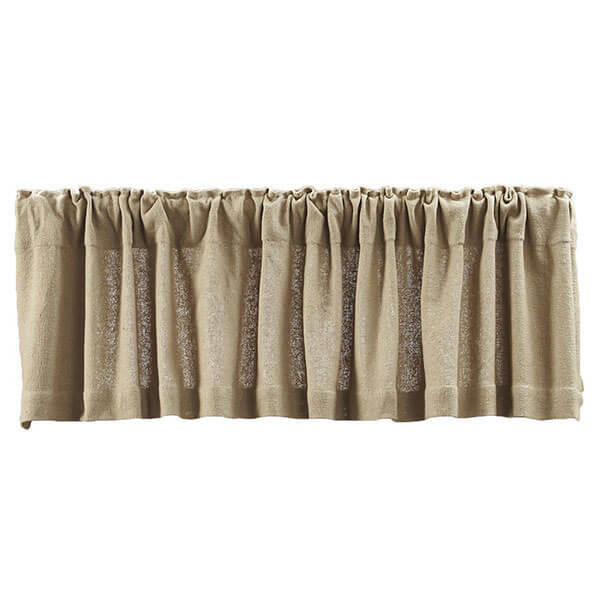 Give your home that rustic look you love with the help of the Lasting Impressions Burlap Window Valance. 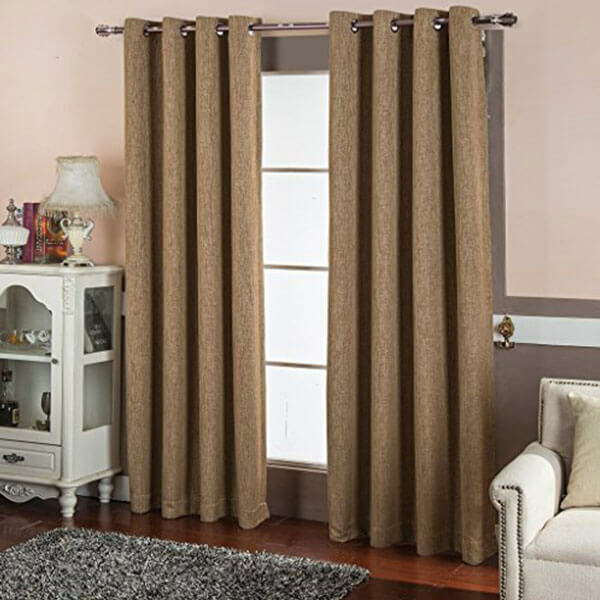 These burlap valance curtains are made out of 100 percent cotton, giving them all of the appeal of burlap but making them much easier to clean and maintain.